I have nearly finished a portrait of an identical twin, I am painting her twin sister soon. Painting identical twins is fascinating as the differences in facial features are so minute. 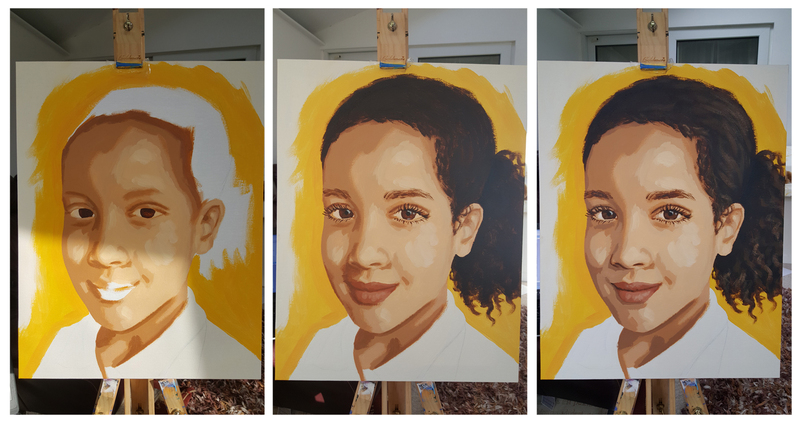 As a portrait painter you have to be spot on with accuracy but the precision is so important when painting identical twins, I have to confess that at one point in the early stages the portrait looked more like the other twin! 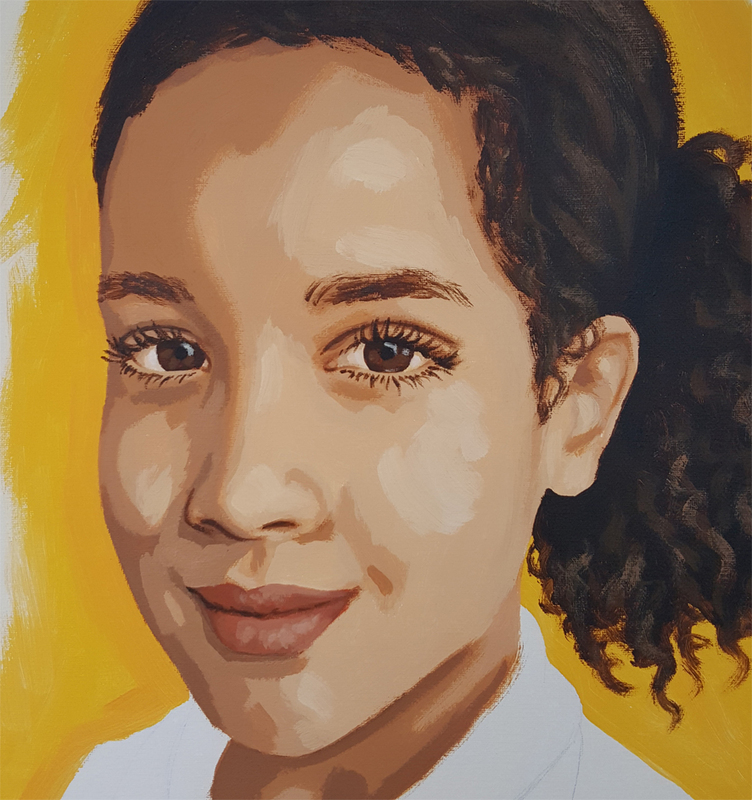 All the facial features are honed and correct now (the portrait definitely looks like the correct person), I just need to finish off the clothing. Here are some progress pictures, I'll post more photos once completed.